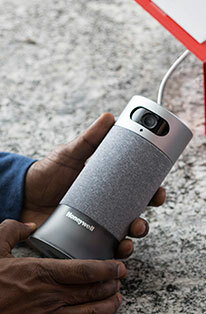 The Honeywell Store is expanding its online selection to include Smart Home products that are capable of adding a wealth of security measures in and around the household. The Honeywell Smart Home Security Base Station utilizes a selection of prevailing technological trends such as Amazon Alexa & Voice Control with Scheduled Facial Recognition. The Honeywell Camera Base Station expands on these established technologies by supplementing them with a smart motion and sound detection system. Smart motion detection provides day and nighttime surveillance while recording in 1080p HD with full video. 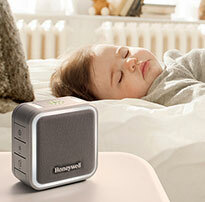 This DIY security system can be enhanced with a selection of Honeywell Smart Home Accessories. Camera base station includes DIY installation with easy to follow step by step instructions via the included app. Change your system's mode with simple voice commands. Or ask built-in Amazon Alexa to switch on a lamp, turn up the thermostat, or dim the lights - without lifting a finger. Smart home security base uses a 2MP HD camera to record in a 147� field of view. The base will remain alert day and night via smart motion detection. Added night vision records in crisp 1080p HD with full audio. Sometimes a quick notification that a loved one is home 'ok' is all you need. With the free scheduled facial recognition service, the Smart Home Security System can do just that. It will even alert you if someone is unrecognized and alert you to see a clip so you can see exactly who it is. When combined with Outdoor MotionViewers, your Smart Home Security System can help keep unwanted visitors away by working with your other smart devices to simulate an occupied home. 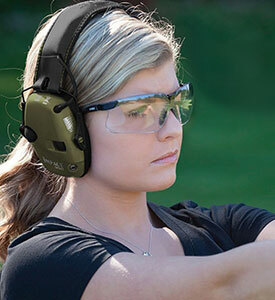 The system can turn on compatible lights, and the 90-decibel internal speaker can play sounds like a barking dog, to make any potential intruder think twice. Check modes with your voice and talk to built-in Amazon Alexa to check the weather. You can also ask your Smart Home Security System questions, control other devices along with much more. The system already works seamlessly with other smart home brands, including Amazon Alexa, Google Assistant, and IFTTT. Going away? Use it with Z-Wave lights and IFTTT to recreate the brightness and sounds of a busy home to deter unwelcome visitors. 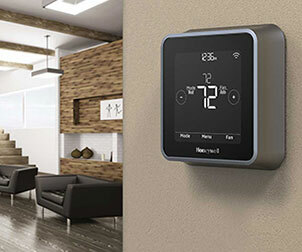 There are so many possibilities - and Honeywell will keep adding and improving even more to make your home even smarter.